Mexico has a large number of businesses whose main product is not playing cards, but who produce one or two packs as a novelty or promotional item, often made by their packaging or printing departments. There are no manufacturer's details printed on these cards apart from Productos Camacho and Hecho en Mexico and we are not sure who the actual manufacturer is. 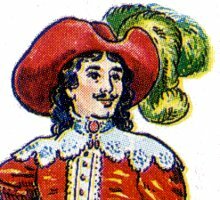 The designs are based loosely on the Spanish Castilian style, with Mexican-style cavaliers and female pages. The artist's name is not known. 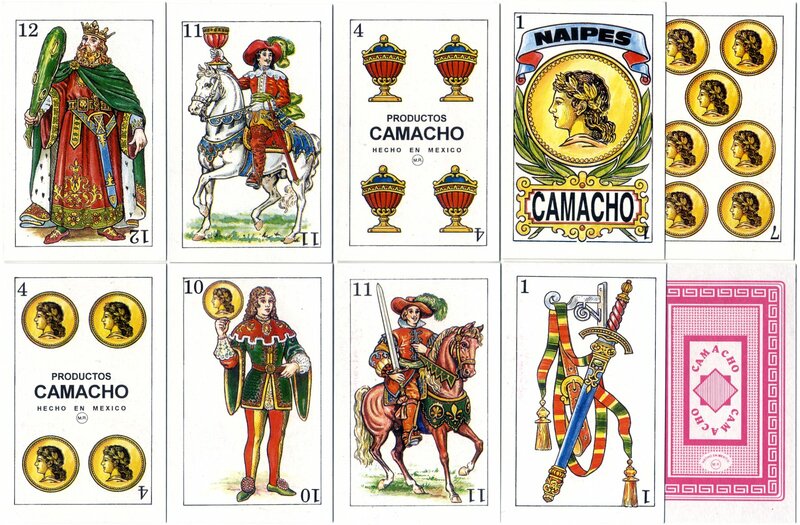 Above: Spanish-suited playing cards made by Productos Camacho, Mexico, c.2003. 40 cards, square corners. The reverse has the word 'CAMACHO' inside a pink geometric design.